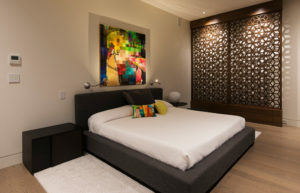 Alta Lake Passive House is a luxury Passive House building that encompasses many innovative features. 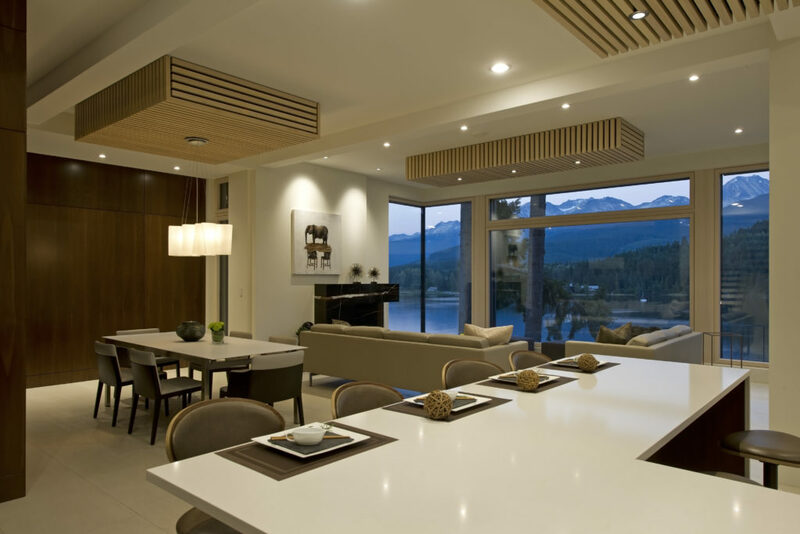 It was architecturally designed and decorated to show that a Passive House can be stylish and attractive. 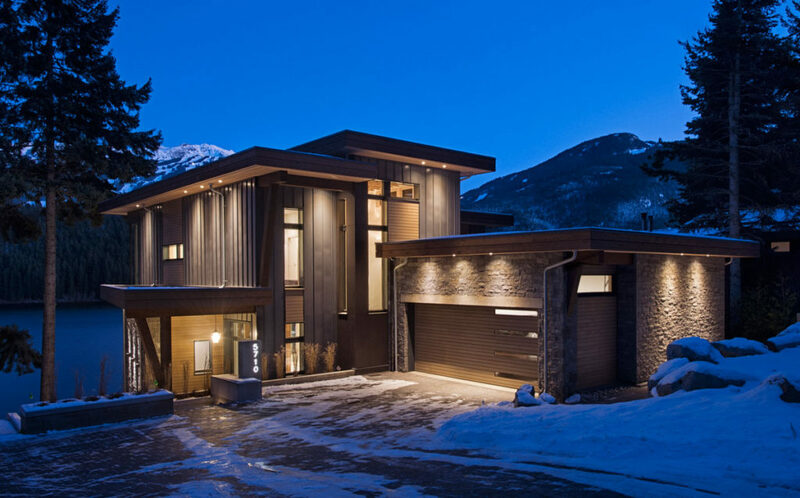 It was designed to be extremely energy efficient in a higher altitude mountain setting and prove a furnace is not required. It uses thermodynamic roof top panels with an air to water heat pump to heat both the domestic hot water and the infinity pool. 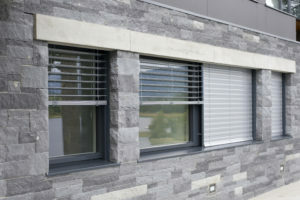 It uses exterior venetian blinds to control interior illumination and control summer heat load. This house also features a staircase chimney with electrically operated windows to use the cool alpine breeze to cool down the building overnight. The space under the garage is used as a children’s games room and future home theatre. 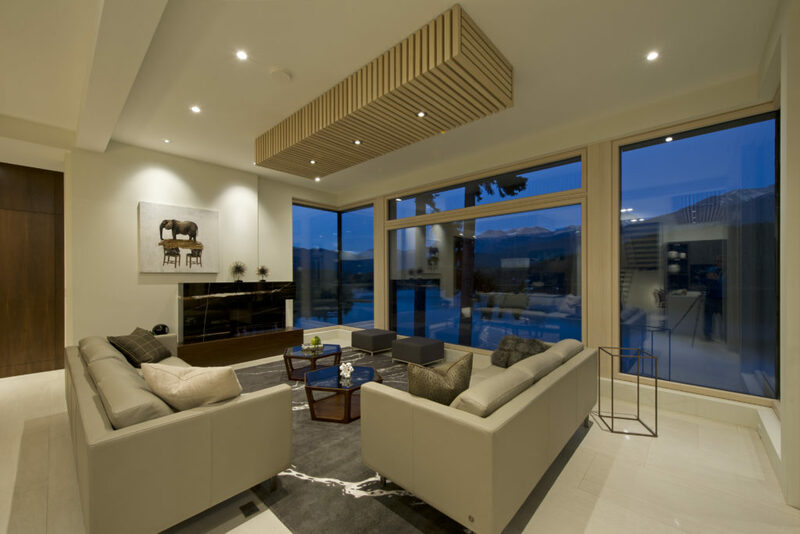 The house is fully automated with lighting controls, hydro usage monitoring, remote Nest fire protection and audio and video controls. 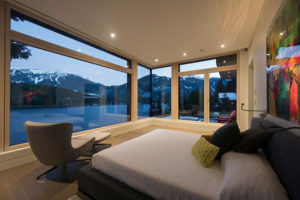 The home is also incredibly comfortable, cosy and quiet, even on a cold day in winter, with mountain fresh air from the heat recovery ventilator.